One of the leading Israeli prose writers, a journalist and author of popular books for children. Grossman studied philosophy and theatre studies at the Hebrew University. He worked at an Israeli radio station where he created children’s programmes. 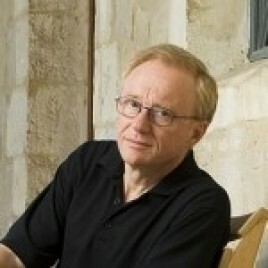 As most of the Israelis did, Grossman supported Israel during the war (the 2006 Israel – Lebanon conflict). On the 10th of August, together with fellow authors (Amos Oz, among others) he held a press conference at which he strongly urged the government to agree to a ceasefire. Two days later his 20-year-old son, Uri Grossman, was killed by an anti-tank missile during a military operation in southern Lebanon. Grossman wrote the following books: Duel (1982), Be My Knife (1998), Her Body Knows (2002). His most well-known publications include The Yellow Wind – a story about Palestinians living in the territories occupied by Israel. The book was received with wide recognition abroad, however, in the writer’s own country, it gave rise to a great deal of discussion and aroused huge controversy. In 2006 a novel entitled Someone to Run With had its premiere in Poland. The book’s protagonists include Tamar – a fifteen year old who abandons her family and sets off on a search for her brother among drug addicts, and Assaf, a serious and very shy sixteen year old who experiences his worst Summer yet. The history of their increasingly closer relationship, which is characterised by inexorable fairy-tale inevitability is a frightening account of what happens to children on city streets and, at the same time, a magical story of the power of love. Grossman’s book entitled See Under: Love was published in 1986 (although it didn’t appear in Poland until 2008). It is an exceptional attempt to look at the Holocaust from the perspective of childhood dreams, poetic visions and surreal imagination. The protagonist – nine-year-old Momik – lives in the grief-stricken Jerusalem of the 1950s. The boy is a kind of a small detective who wants to learn what happened in the mythical land of Over There (meaning Poland). The second part of the novel is dedicated to Bruno Schulz. The grown-up Momik is a poet with his own family. He comes to Poland in search of traces of his beloved writer and creates an alternative story of his life. We see Grossman here at his literary best and his poetic impressions remind the reader of Bruno Schulz’s work. What also connects Grossman with the author of The Street of Crocodiles is the need for a new language which would allow one to describe the degenerated present time.